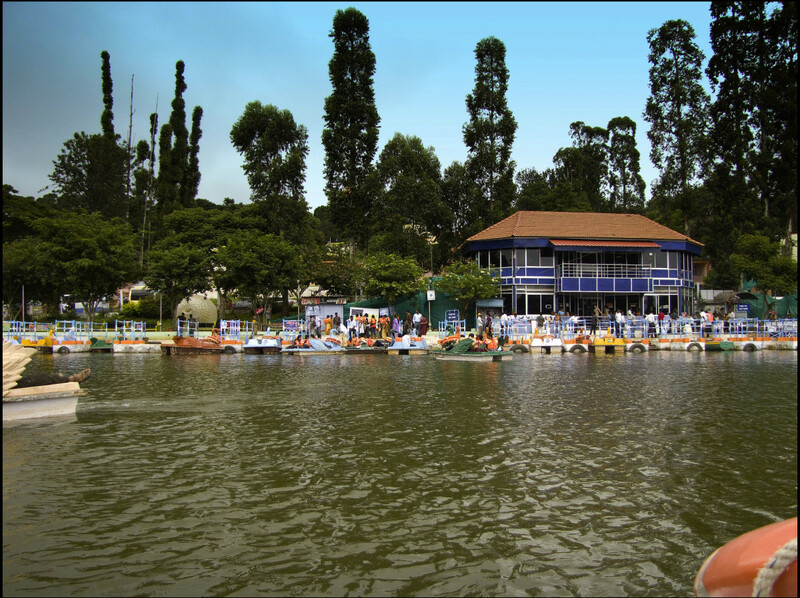 Kodaikanal is referred to as "the princess of hill stations" and was developed by the Britishers during the colonial era. The Englishmen needed a retreat to escape from the scorching summer heat in Madras, presently known as Chennai. The Britishers knew that the hills in tropical countries would have pleasant weather similar to what they experienced in their native country. 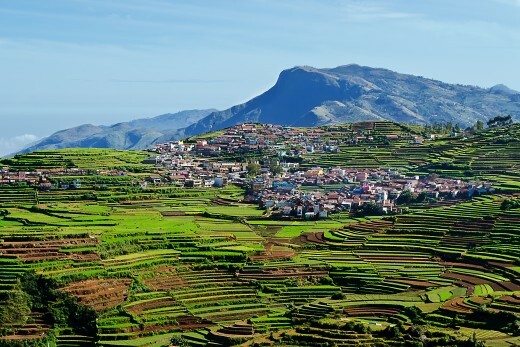 Located in South Tamil Nadu, Kodaikanal is the favorite hill station for people living in this region. Madurai is the closest airport (located at a distance of 50 miles) and Kodai Road is the closest railway station (located at a distance of 27 miles). Continue scrolling for more information about these gorgeous sites. 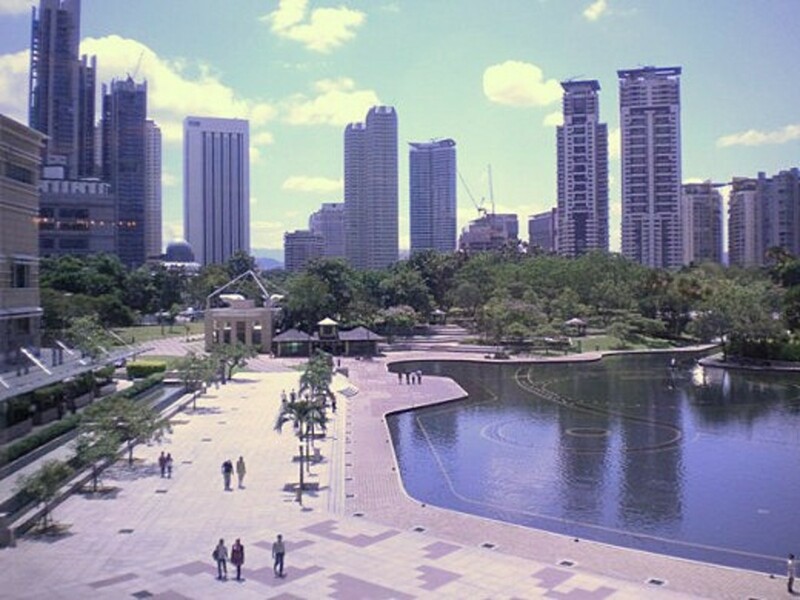 This is a very large park located in the middle of the town. 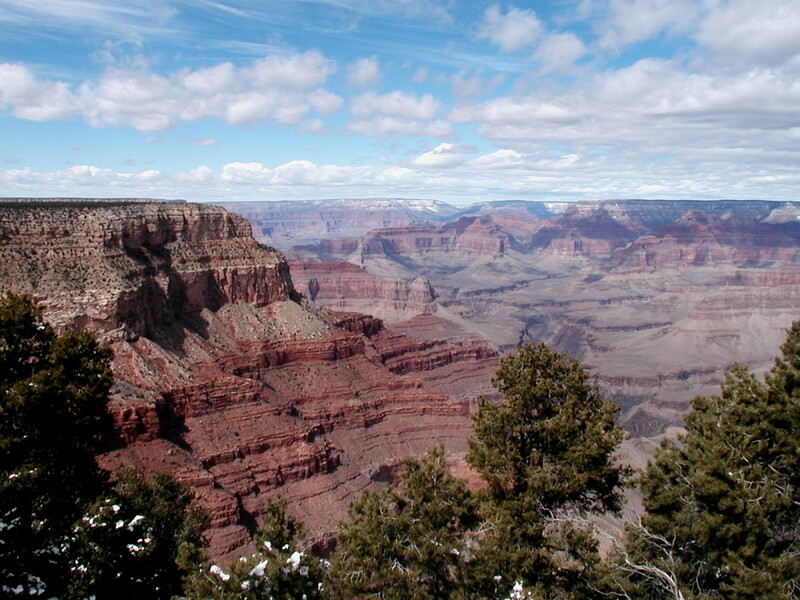 It is so vast that it can accommodate huge crowds comfortably. There are many bodies of water, flowering plants, trees and open lawns inside the park. The main attraction in the park is the rose garden, which houses many varieties of roses and a Bodhi tree. There is also a greenhouse, where exotic plants from all over the world thrive and delight. It takes a couple of hours to cover the park on foot. Horticultural exhibits and floral shows are conducted every summer. 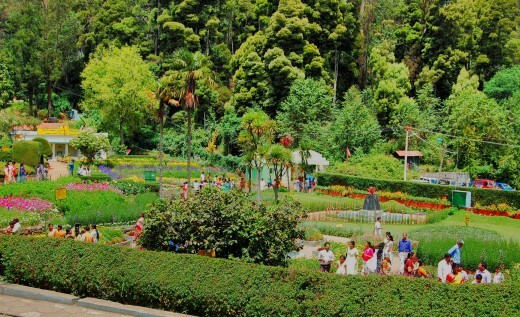 This park was created by Bryant, a forest officer from Madurai during the British era. This is a one- kilometer walkway built on the mountains with a beautiful valley on one side and sloping mountains on the other side. Coaker's walk looks particularly exotic when it is covered by mist. 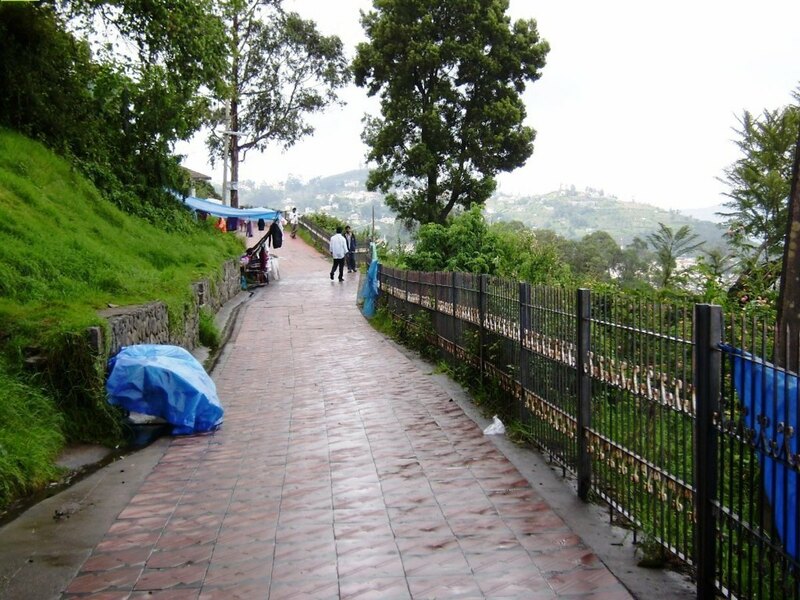 This walkway was created by a Britisher named Coaker in the nineteenth century, hence its name. 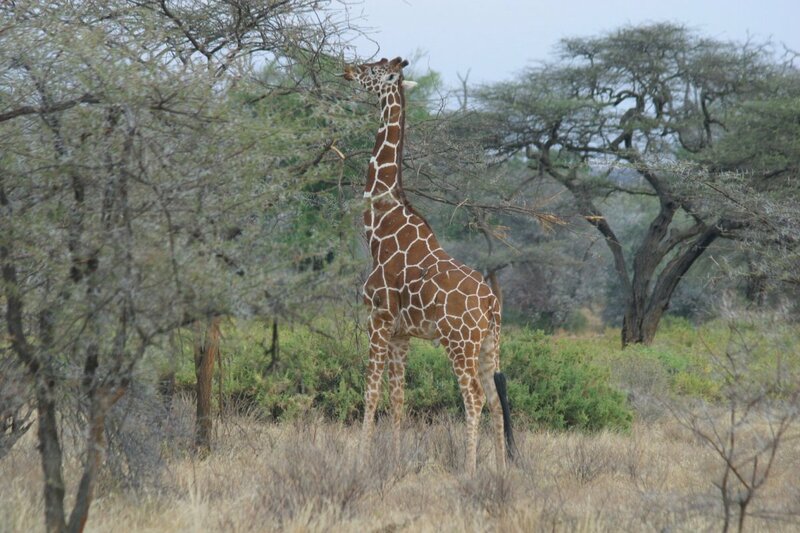 Besides being a favorite sightseeing place, this is one of the preferred tracks for the morning and evening walkers. One can find several vendors selling food items on the walkway. The delicious cut mangoes laced with chilli powder should not be missed. Besides the cut mangoes, there are roasted groundnuts or peanuts sold on Coaker's walk, helping us to stay warm in the cool weather. This is one of the most picturesque lakes in India. Naturally, the picture above hardly does it justice! The lake and its surroundings look particularly surreal on misty days. There are times one cannot even see beyond one meter due to heavy fog. 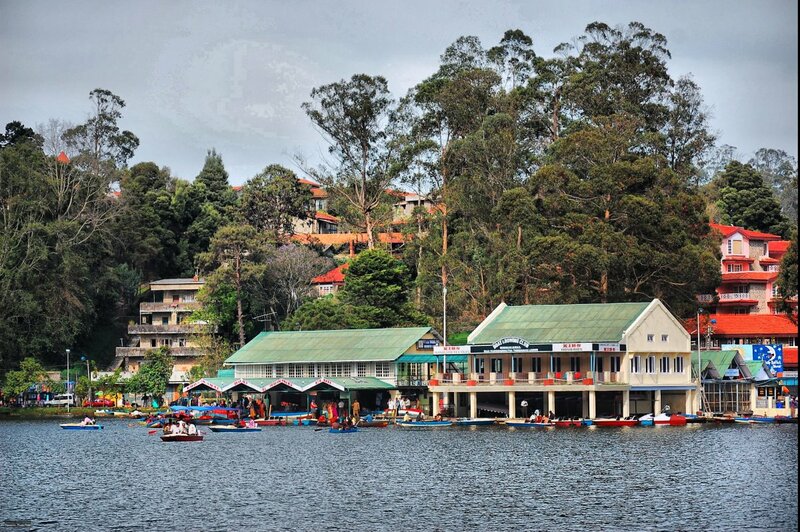 The boathouse is usually crowded, and the best way to beat the crowd is by visiting Kodaikanal on a weekday. The rowboats are very popular here and they provide a good way to improve one's physical fitness while on vacation. Finding space for parking the car around the lake can be a bit of challenge on crowded days. It may be a good idea to walk to the lake instead. 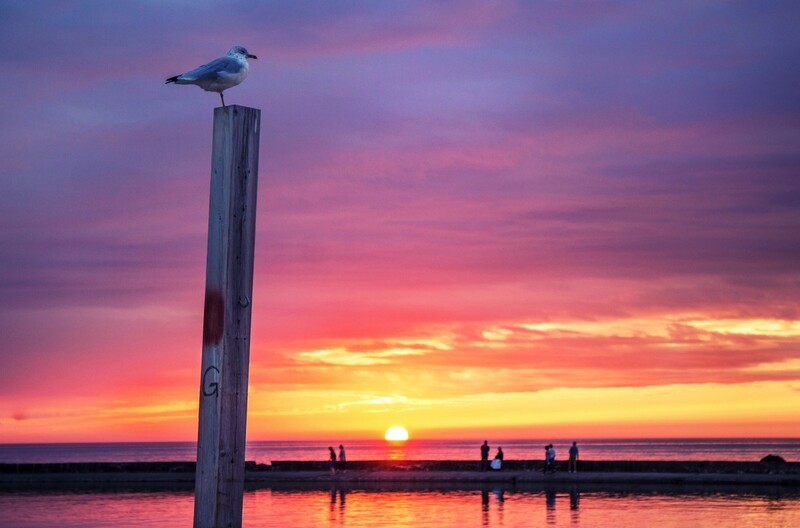 There are many shops located around the lake where one can pick up souvenirs for the trip, like locally made handicraft items or framed pictures. Sterling Lake View and Carlton are some of the good stay options for someone who wishes to stay closer to the lake. There are a couple of huge rock pillars that threaten to fall any time, causing enormous damage. The pillars are very clearly separating from the main mountain range and will surely collapse in the future. It could take thousands of years before they crumble, but no one knows for sure when it will happen. For now, they are beautiful pieces of nature to behold. The drive to the pillar rocks takes about an hour. 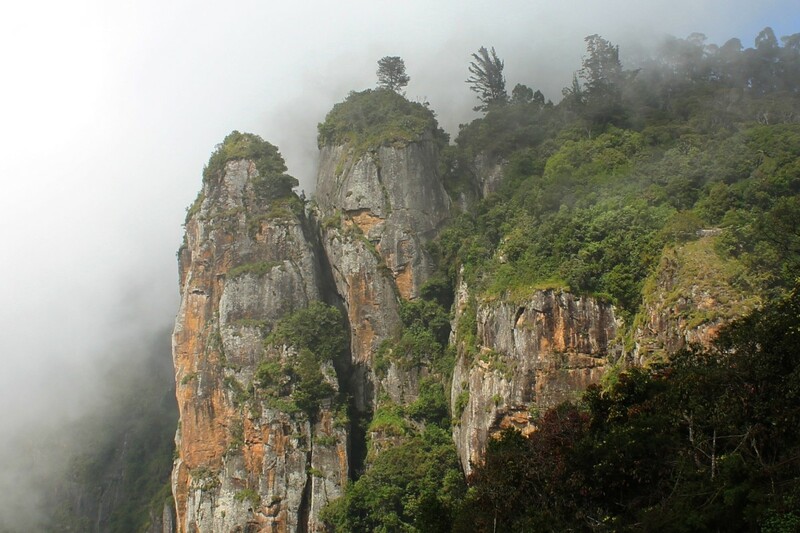 The path leading to the pillar rocks is a one-way road and the return trip to Kodai town through the other road has two more attractions on the way, namely the Guna Caves and the Golf Club. Anyone planning a trip to Berijam lake can pair it with a visit to Pillar rocks. It takes about half an hour of drive time to reach this waterfall from Kodaikanal town. One could plan to stop at Silver cascade during their return journey, as this comes very much on the way down to foothill. 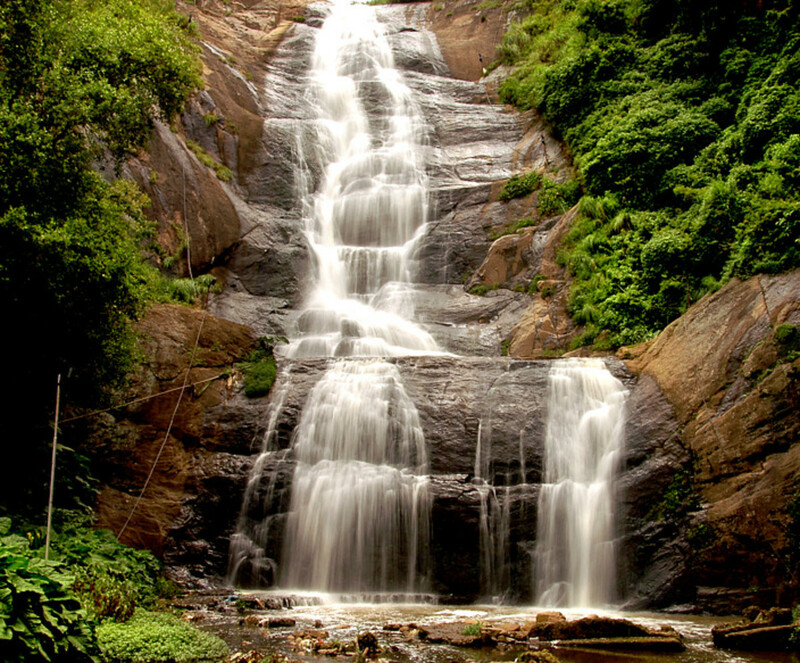 The excess water from the main lake in Kodaikanal flows through the cliff as the beautiful Silver Cascade. The tiny water droplets that get splashed all over occasionally kiss the onlookers, sending shivers down their spines. This is where the two species of primates are seen in abundance—monkeys and human beings. One should also not miss an opportunity to spot the tallest waterfalls in Tamilnadu on their journey up or down the hill. This waterfall is called Rat falls and can be seen only from a long distance on a faraway hill. This waterfall does not have any road access and can only be accessed by a strenuous trek that takes about six hours one way. This is certainly not my cup of tea, and I am happy with a long-distance view. In contrast, the Tamilnadu plains could sizzle between 35°C and 40°C in the peak summer months of May and June. 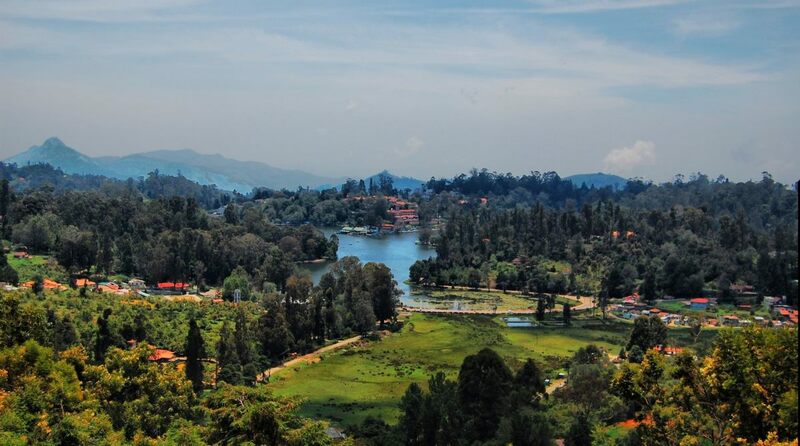 If you're interested in visiting this gem of a region, please take a moment to read my other article about the offbeat attractions in Kodaikanal. You are right Eman Abdallah Kamel. Kodaikanal is a very beautiful place. Thanks Liz Westwood for your wonderful comments. It is really very beautiful places and interesting article as well. This is a beautifully illustrated article. 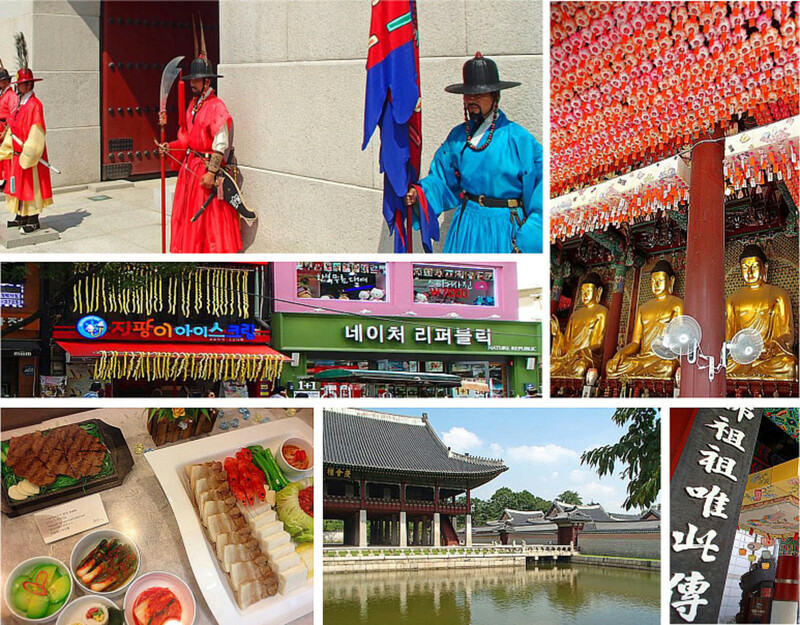 These places look worth a visit.